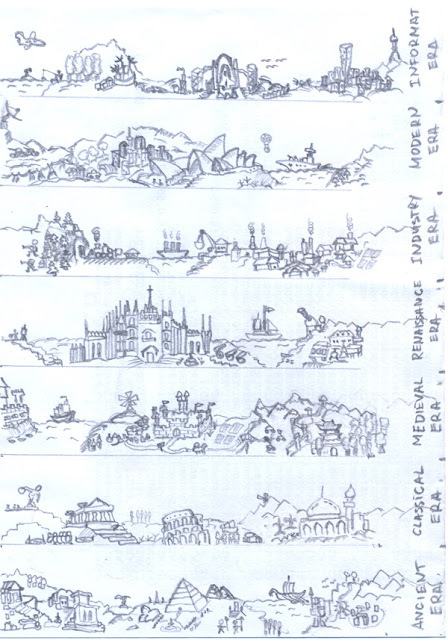 This drawing of different eras, is the picture used in Civilization Advances Game. Ancient Era. Classical Era. Medieval Ages. Renaissance Era. Industrial Era. Information Era.